Making financing significantly faster, easier, and more accessible is the primary goal of SpectroCoin. Based in London, SpectroCoin is an all-in-one solution that uses the cryptocurrency. It provides means for users across the world to experience much-improved financial and payment systems used for a wide array of markets. SpectroCoin’s services are categorized into four main products, but all are geared toward establishing solid Bitcoin solutions for both consumers and merchants. Ensuring on-point services, the UK company continues to develop its range of products to meet every client’s needs. SpectroCoin means quality business on the Bitcoin scene and is poised to be steps ahead since its launch in 2013. 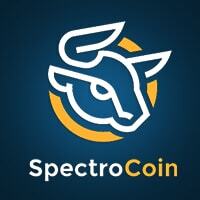 Buying and selling bitcoins on SpectroCoin has been made more convenient, safe, and flexible. Users can instantly exchange across different currencies, with the platformrom supporting both fiat and virtual currencies. Both Bitcoin and Dash are supported by the exchange, which also cater to US dollar and euro, along with seven more real-money currencies. Gold is also accepted by the SpectroCoin Bitcoin exchange. With the expansive support for the said currencies, the company manages to welcome as many clients as possible looking to venture into the Bitcoin world. Moreover, users can choose from over 20 payment options, including e-wallets, credit or debit cards, local bank transfers, and international bank wires. Deposit time is reduced—if not instantaneous—which makes the acquisition of the cryptocurrency quicker. The same can be said about selling bitcoins. Online and mobile Bitcoin wallets are among the main products SpectroCoin delivers. 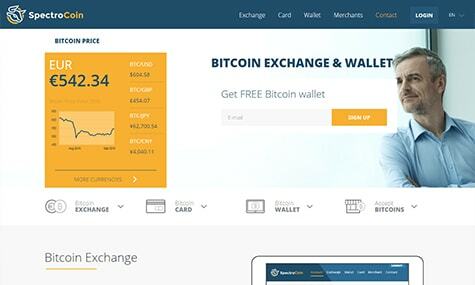 Its wallet boasts impressive features, while also benefitting from the solutions from the integrated instant exchange. Making the SpectroCoin Bitcoin wallets more attractive are the authentication methods that guarantee user privacy and protection against unauthorized access. Also, 99% of the funds in the wallet are also stored in offline storage. The mobile wallet is compatible with various platforms like iOS, Android, and Windows and has full access to the blockchain and to the addresses linked to the SpectroCoin wallet. In 2015, SpectroCoin issued its Bitcoin debit card to users from 150 countries supported by the platform. The card features high deposit and withdrawal limits, as well as support from over 20 million websites and shops worldwide. It can also be used to withdraw fiat money from more than 30 million ATMs across the world. The SpectroCoin Bitcoin debit card is available in US dollars, euros, and British pounds, each with corresponding fees for both physical and virtual usage. Staying true to its word, SpectroCoin completes its services with its Bitcoin payment solutions that will transform any business to support Bitcoin. Businesses and merchants can now accept Bitcoin as a payment from their clients while also enabling payouts in the cryptocurrency. The London-based company also features quick, secure, and affordable Bitcoin integration that will prepare anyone’s business to be more client-friendly, technologically updated, and economical. SpectroCoin clearly revolutionizes the financial systems for both businesses and consumers, making it a solid choice as one of the services we like in the Bitcoin markets.